Peppers can be a side dish. 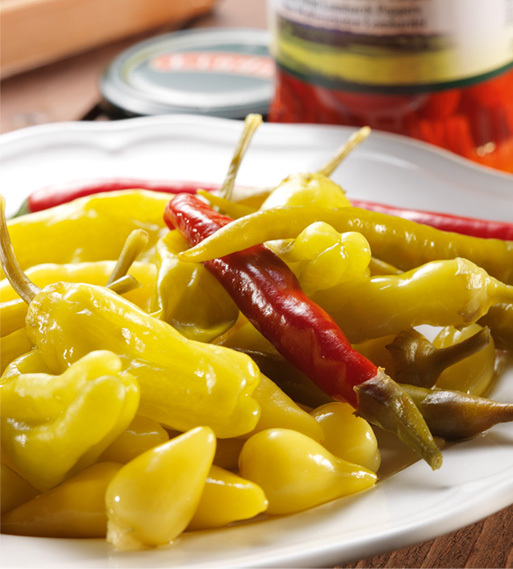 They are produced with fresh peppers and prepared per recipes which suit our customers’ taste. We process mainly Red Topa Peppers, Capia Peppers, Macedonian Peppers, Lombardi Peppers and Pepperoncini as well as other different varieties. Our Peppers are in Whole, Julienne or Diced forms.